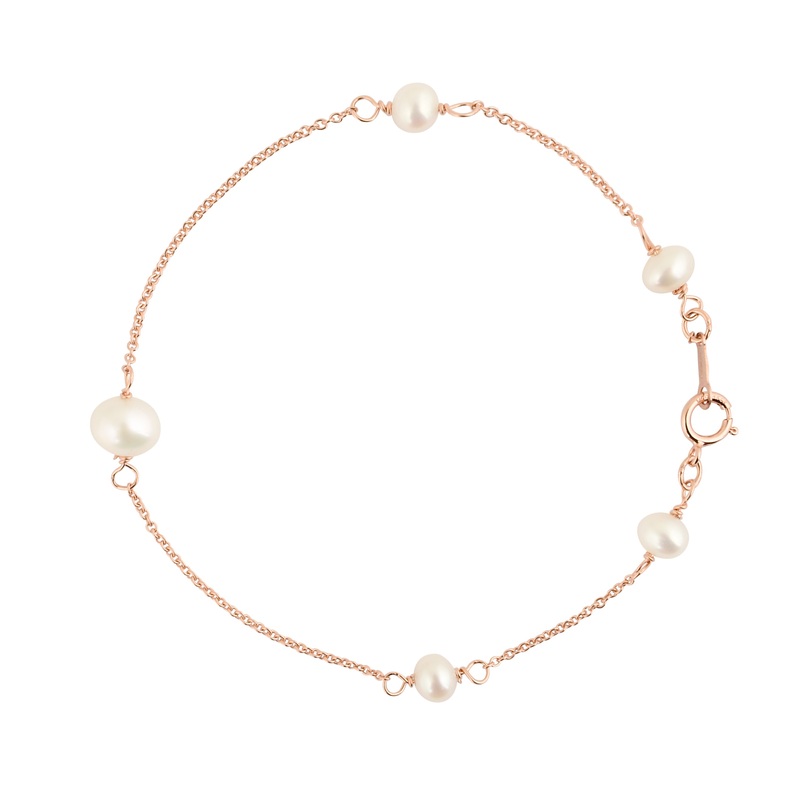 As part of Chez Bec’s new rose gold collection, the Annabel Rose Gold Bridal Bracelet is a simple and elegant adornment for any brides wrist. In 2015 we listened to our brides, and being as they are a savvy and fashion forward, they told us that they wanted a rose gold bridal collection to stay on trend with 2015’s hottest metal… and so we gave them what they asked for. 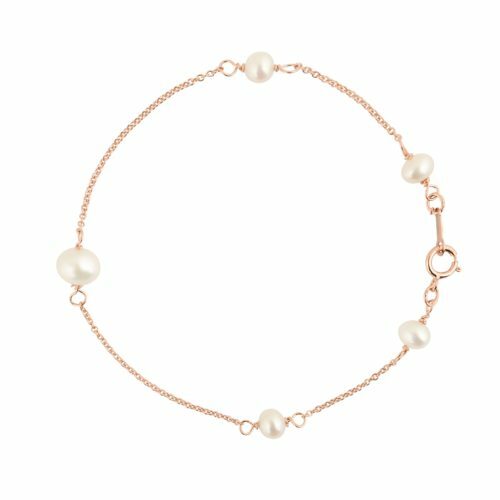 Freshwater pearls are integrated onto a fine rose gold trace chain, that creates an effortless piece of vintage sparkle to any wrist. There are 4mm pearls and then one larger in the centre. Perfect. Part of the Belle range, there are matching earrings and a necklace too. What we particularly love about the rose gold as a metal is it compliments every skin tone, and every other metal – it doesn’t matter if you have a platinum, yellow gold or white gold wedding band, the Belle Rose Gold Bridal Bracelet will perfectly blend. Perfect! 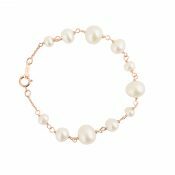 The Annabel Rose Gold Bridal Bracelet, and all of the rose gold bridal collection from Chez Bec is handmade using freshwater pearls and gold filled findings. Gold filled findings use a very thick coat of rose gold over sterling silver. They won’t wear down to silver and are much stronger than traditional gold. Be the first to review “Annabel Rose Gold Bridal Bracelet” Click here to cancel reply.